Simplicity, minimalism and focus are things I’ve become increasingly interested in on both a personal level and as ideals to bring into my motherhood. The entire concept of an “intentional bookshelf” truly stems from this belief that there is value in curating the books we read over and over with our children to reflect parts of our core values, interests and life situations. That said, even with intentionality, your bookshelf will (and should!) grow. This, my friends, is where the wonders of the micro library come into play. What is The Micro Library? Presumably, you have a place where your books in your intentional bookshelf go – perhaps a singular bookshelf that houses them all. Imagine the sheer decision fatigue your child may face if they approach said bookshelf and are instructed to “pick a book for bedtime”. I know the overwhelming nature of such an endeavor because I, too, have asked my daughter to pick a book from our main bookshelf, to be met with the inability to choose due to so many options. The micro library is an easy to implement solution that not only helps limit options, but also allows you to take purposeful action as a parent to select books that are right for this season. The micro library is a subset of your intentional bookshelf that speaks to contemporary issues, hurdles, interests or relevant values. It is somewhere apart from the main bookshelf (ideally in an easily accessible area) and it is where you will guide your children before a reading session. The main home library should still definitely be accessible, but the micro library should take precedent. I wrote an entire article on MotherHustle about the value of focused parenting through books & how when you start your bookshelf in the first place it’s about incremental steps. 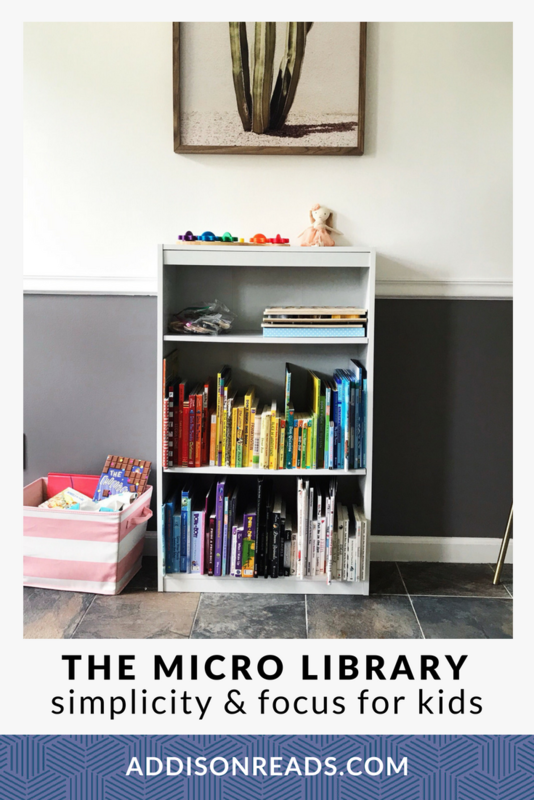 Think of the micro library as a way of pulling together the topics that are most essential to your family right now and making that what your kids read day after day. Here’s an example. We were having some issues with our daughter hitting & being disrespectful (I thank the toddler years for that!). Taking note of our current hurdles, I curated our micro library to include all of our books that addressed this topic – plus of course a few others to balance it out. Then, week after week – until we rotated the books – we reinforced the same message…hitting is not okay, being respectful is the way to go. Boom. Focused. Messaging. When I say “seasonally” I don’t mean the seasons. What I mean is, the micro library should be readjusting and rotated according to the different seasons, moments, situations you experience as family. 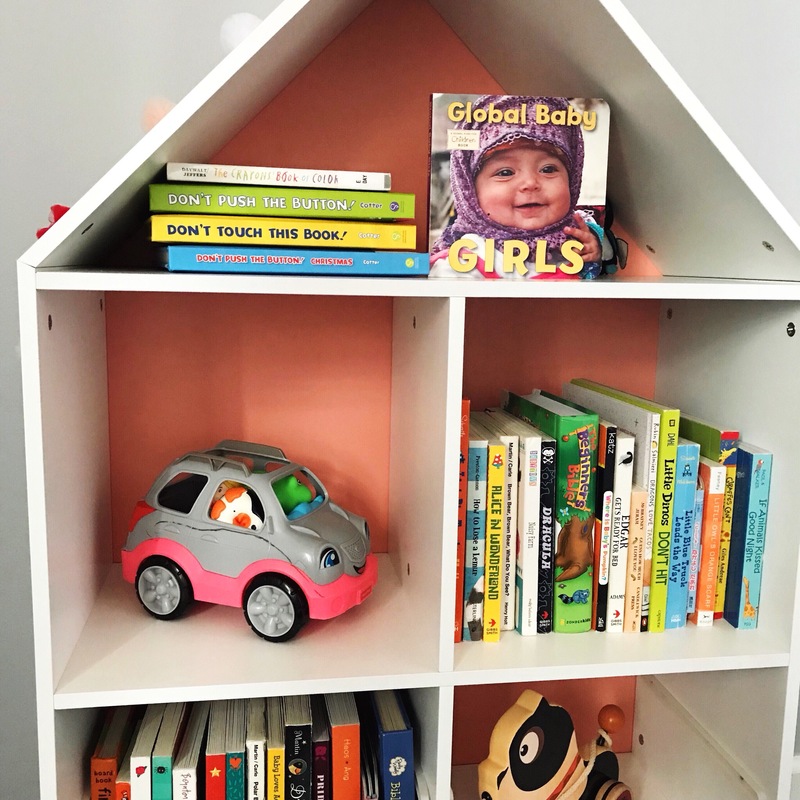 Just like you might rotate toys around to keep them fresh and to keep your children focused on a particular type of play, you can do the same for your bookshelf. For example, when my husband goes away for long work trips (#militaryfamily) we often pad our micro library with several books about daddy & separation. These help focus my messaging as a parent. Especially on the days where I am not emotionally there, the books can help me. What I like about rotating it seasonally is that you allow the books to really have time to marinate – to read them over and over again – without rotating them so frequently that it’s just gone with the wind. As a rule of thumb, too, when we stop getting joy out of a book in our micro library – we rotate it out. As I mentioned above, you want these books to be read most often – because they are applicable to life right now. 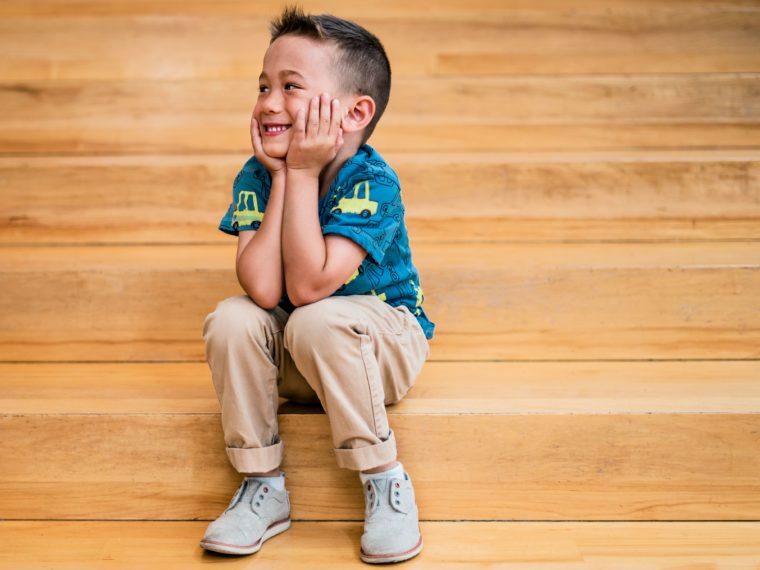 Of course, you definitely want your children to be able to explore all of the books on your family’s bookshelves….you never know when they’ll find an interest in one or another…so keep them all accessible. To make sure our micro library & the books on it are the first we reach for, we keep it in our daughter’s room. When she has quiet time, wakes up from a nap / bedtime or otherwise goes in her room, she can access those books easily. Our main bookshelf is downstairs in our family room, but this smaller subset of books curated just for the season right now is easiest for her to read through. The point of this smaller subset of books is to make it…small. That way there is less overwhelm & more focus. Although the bookshelf in Addison’s room could easily hold 60-70 books, we typically keep only about 20 on the shelf at any time. I used to be afraid of that whitespace and empty shelves, but I decided that wasn’t worth sacrificing the positive impact of the micro library. With less books, we have the opportunity to make our shelves fun (we might even take some ideas from our reading space guide) & really think about what is on them, and why. If you’re ready to do this, I say just jump right in. 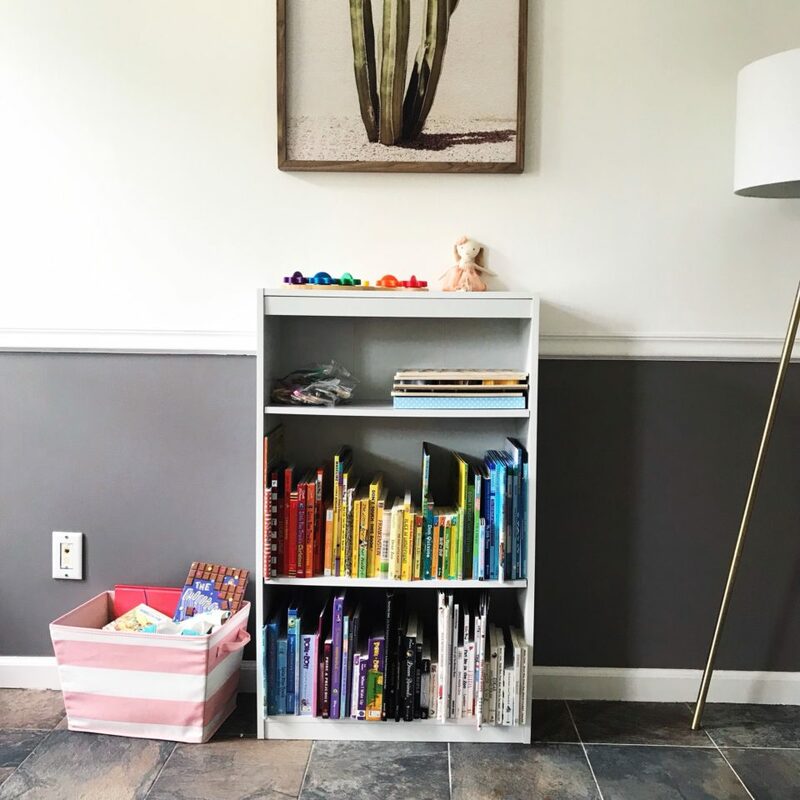 Figure out what 2-3 things are relevant to your family right now (values you want to focus on, interests your children have, tough situations you’re dealing with) and then curate books from your OWN home library to create this micro library. What if I don’t have a second bookshelf? You don’t need one! Use a basket or just make a designated stack. Don’t let the fact that you don’t have another bookshelf stop you from the enormous value of the micro library. How often should I rotate the books? As mentioned, you don’t want to rotate them too often or you might not get the full value. When the books start to feel stale, that’s a good sign you should make the switch. My kids are older, does this apply to me? Truly, I can only speak from experience with my daughter. I would imagine your older children might want a micro library of their own that holds their books that are separate from the “family bookshelf”. Use this post as an opportunity to start up that conversation with them. Ready to Explore Simplicity as a Family? Here on Addison Reads and within The Intentional Book Club we value focusing on distinct themes. We encourage you to explore and dive deep into the topic with your family. This theme is SIMPLICITY. 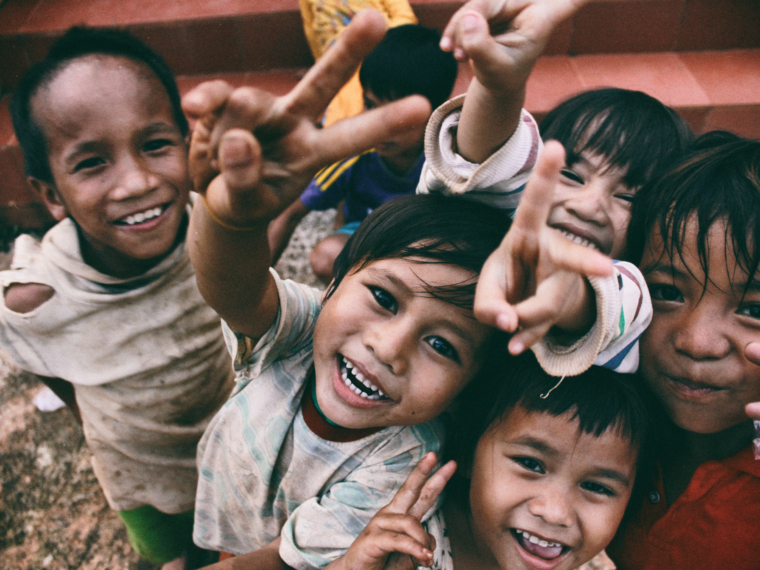 In this theme, we focus on simplicity parenting, minimalism (both in life & physically), how simplicity can bring you joy, and more. Club members also have access to curated book recommendations based on their defined focuses for their intentional bookshelves, exclusive printables and resources, and are welcome to participate in our private community for purposeful parents. Our guest of honor for the theme of Simplicity is Karen Delano. Karen helps moms slow down and get clear on what they want for their families so they’re living their lives intentionally. 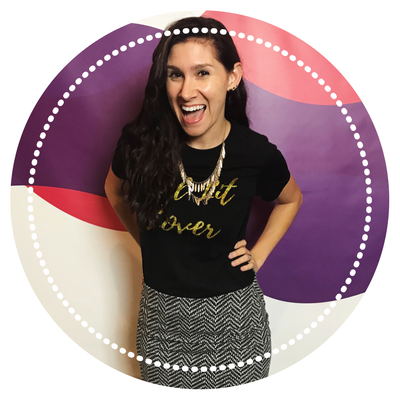 She works with moms one-on-one or in groups to reduce their kid’s challenging behaviors, build connection in their family and deal with the stress that keeps them from acting and feeling like the mom they want to be. 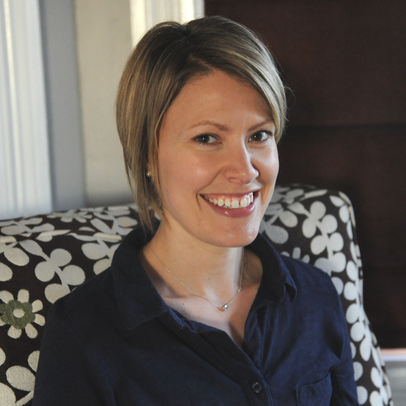 Premium book club members have full access to the insightful interview with Karen about simplicity parenting!